Since I’ve been back to the US, food seems so…bland, processed, not special or succulent at all. Italy has been a piece of Heaven, and now, since I had spent a great amount of time in food Nirvana, where one can bliss with homemade delights made with the freshest ingredients, our stuff now tastes like crap. It’s very depressing. Florence: The last night was so much fun with the gang. 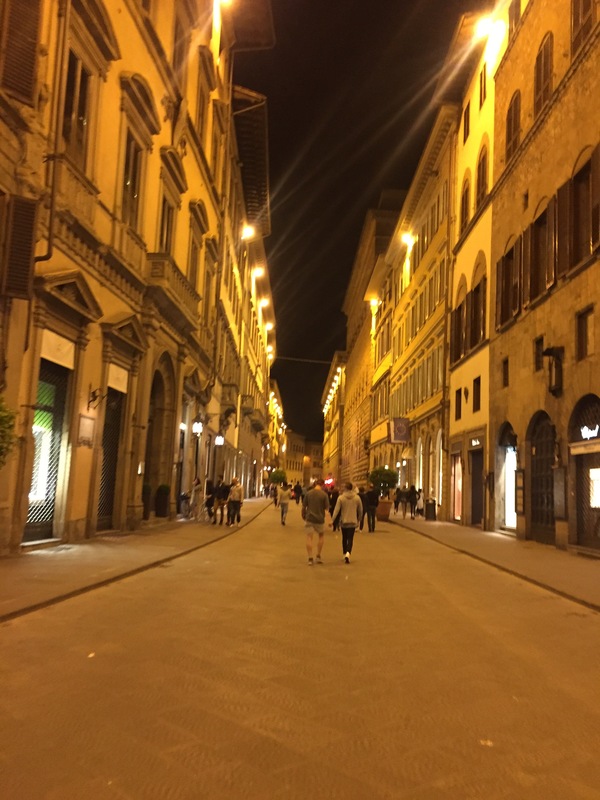 After dinner, we headed to Palazzo Vecchio and listened to guitar music as the night gathered in, and I petted the nose of the Porcellino for good luck. At dinner, however, I couldn’t even remember the name of the place in Old Town we were at (it had “Green” in the English version of the restaurant’s name, and 20+ vendors came by to try to sell us roses, which was ridiculous), but the food, oh the food….I had ravioli filled with mashed potatoes. The sauce was wild boar ragu. If I would had died on that night, I would had been satisfied. If you haven’t tried wild boar, please do! Sorrento: This is a place of such exquisite beauty. We all needed an extra day to just enjoy the atmosphere here. And, at a seaside restaurant I clearly forgot (was there “Blanc” somewhere in the name? ), I had another bream fish plate (still, the flesh was so sweet), this time with olives. I couldn’t see the message on this ma’m. Hope didn’t miss anything! I was updating. You should see it now. Thanks for reading!